This is Lahontan. This is where the story gets good. About five, maybe six seconds after passing through the gates of Lahontan, something spectacular happens. Pine trees part, skies open, fairways beckon and Lookout Mountain reaches out to you with all the comfort and familiarity of a lifelong friend. This is how you arrive. This is how Lahontan greets you. 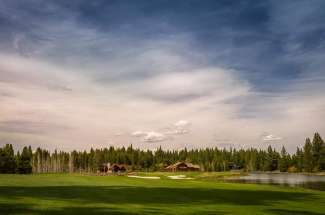 A mixture of meadows and mountains, this 900-acre community in the heart of Martis Valley is rich in Tahoe tradition, a storybook neighborhood of 509 homesites and a golf course that’s a frequent fixture in America’s “best of golf” articles and listings. 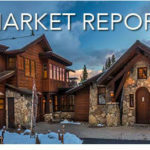 The historic town of Truckee, with shopping, dining and a lively art scene, is five miles one way while the ski slopes and European village of Northstar California Resort are only minutes the other direction. Another ten minutes further is Lake Tahoe, that vast stretch of blue whose coves, beaches and beauty surpass all forms of hyperbole. Of all the settings the Tahoe/Truckee offers, Lahontan resides on what may well be its finest. Centerpiece to the community is Tom Weiskopf’s 18-hole championship course and 9-hole par three course. 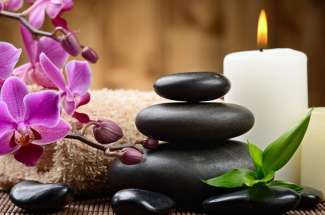 There’s a lodge with fine dining, day spa and fitness center. 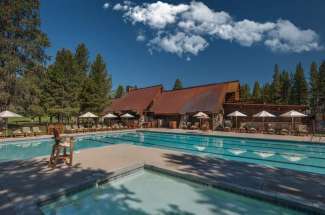 Friends, families and neighbors frequent Camp Lahontan, a five-acre setting anchoring the soul of activity with swimming pool, lap pool, jetted spas for kids and adults, tennis courts, lawn games, sand volleyball court, lawn games and Gooseneck Reservoir, where many kids have kindled their love for fishing. As much as there are sights to be seen, there’s also a long list of things to be done. Lahontan’s calendar of events runs year round — ranging from weekly golf socials to hiking groups, kids camps, barbecues, book clubs, music, parades and even a Fourth of July firework show over Gooseneck Reservoir. 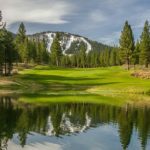 When it’s time to kick into overdrive, there’s skiing, snowshoeing, kayaking, fishing, boating and a lifetime of trails and beaches to hike to, bike to or settle into throughout the Tahoe basin. Perhaps the finest sight is the one that awaits you when you return home, when you pass the gates, smile, sigh and remind yourself that this is what life is all about. 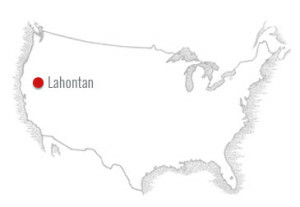 Lahontan — Where Life is Lived Well Above Par. 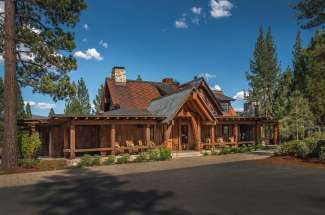 Contact us today for your introduction to the idyllic Tahoe community of Lahontan and its Tahoe luxury real estate offerings.